Nehru Jackets are evergreen. Add them on top of any kurta or shirt and you look ready for any formal occasion. 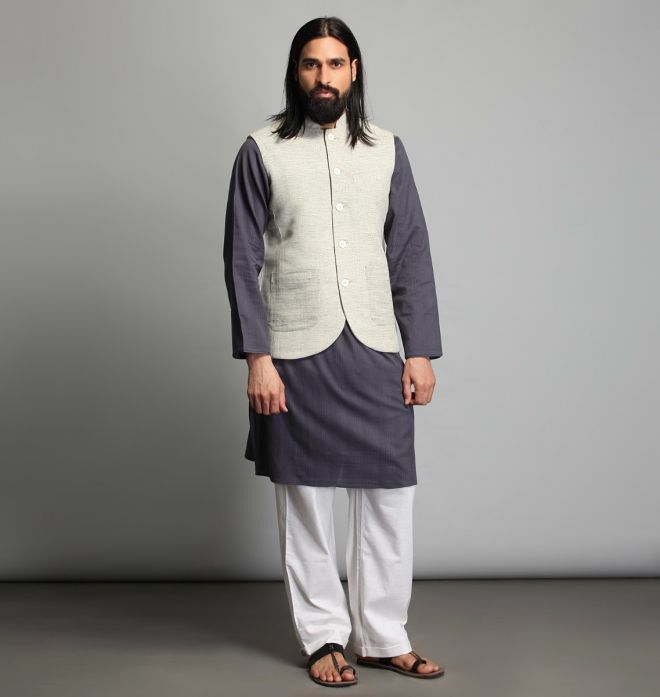 This beautiful, hand-spun cotton shirting Nehru Jacket is a must-have.